Austin is 14 years old and aspires to become a mechanical engineer. At school, he most enjoys Maths, English and Social Studies. Maths and English, he believes, act as a foundation of knowledge to all walks of life, hence his passion for them. He finds Social Studies interesting as he enjoys learning about his country’s past. Austin has three younger siblings. They have been brought up by Austin’s older sister since the loss of both of their mother and father. Unfortunately, there isn’t enough money to support Austin’s education. Education is hugely important to him. He believes it holds the key to all good things and will enlighten both himself and his family, and heplans to help the people of his country if he can realise his potential. 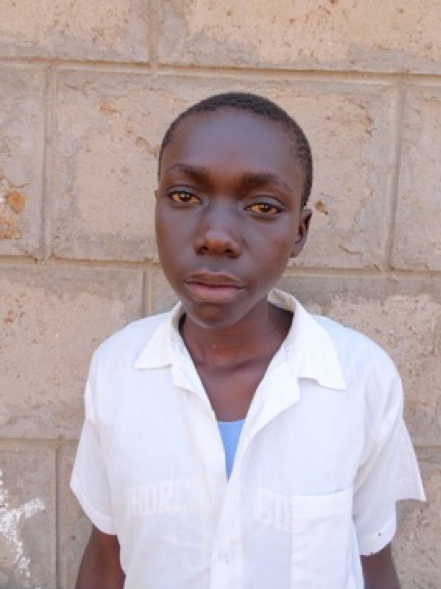 By sponsoring Austin, you will support him through secondary school until December 2021 and set him on the road to achieving his ambitions. This is an opportunity to transform the life of a child through the gift of education. Our beneficiaries are orphaned and other vulnerable children from poor families who cannot afford to pay secondary school fees. With support from Teach a Child – Africa’ (TaC), they are able to go to school and many progress to university. You can give with confidence, knowing that your charitable donations are helping a needy youngster who will be known by you, giving them hope for the future. It takes a few simple steps to start sponsoring a child. Your donation will pay for their school fees, a uniform and a little pocket money for toiletries and other essentials. In return, we will send you a welcome letter and further details of the child. Each year we will update you on their performance and send you a letter from your sponsored child. You will be able to write to your sponsored child via the TaC UK office. There is also an opportunity to visit the children each year in December when we hold an annual gathering in Kenya.